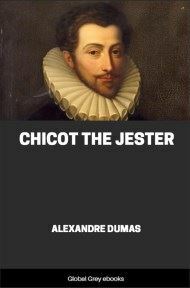 In this sequel to Chicot the Jester, Diane de Méridor takes revenge upon the Duc d'Anjou for his foul betrayal of Bussy d'Amboise. 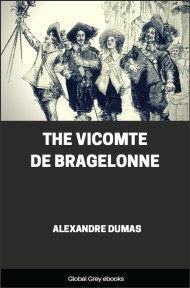 Historically it commences with the execution of Salcède and the arrival of the Forty-Five at Paris, and deals with the Guise intrigues, the campaign of Anjou in Flanders and his death; the events in the novel take place in 1584 and 85. 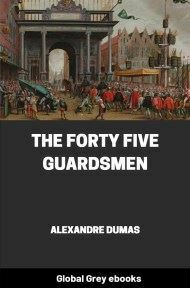 On the 26th of October, 1585, the barriers of the Porte St. Antoine were, contrary to custom, still closed at half-past ten in the morning. A quarter of an hour after, a guard of twenty Swiss, the favorite troops of Henri III., then king, passed through these barriers, which were again closed behind them. Once through, they arranged themselves along the hedges, which, outside the barrier, bordered each side of the road. There was a great crowd collected there, for numbers of peasants and other people had been stopped at the gates on their way into Paris. 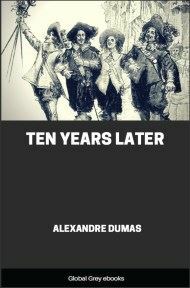 They were arriving by three different roads—from Montreuil, from Vincennes, and from St. Maur; and the crowd was growing more dense every moment. Monks from the convent in the neighborhood, women seated on pack-saddles, and peasants in their carts, and all, by their questions more or less pressing, formed a continual murmur, while some voices were raised above the others in shriller tones of anger or complaint. There were, besides this mass of arrivals, some groups who seemed to have come from the city. These, instead of looking at the gate, fastened their gaze on the horizon, bounded by the Convent of the Jacobins, the Priory of Vincennes, and the Croix Faubin, as though they were expecting to see some one arrive. These groups consisted chiefly of bourgeois, warmly wrapped up, for the weather was cold, and the piercing northeast wind seemed trying to tear from the trees all the few remaining leaves which clung sadly to them. Three of these bourgeois were talking together—that is to say, two talked and one listened, or rather seemed to listen, so occupied was he in looking toward Vincennes. Let us turn our attention to this last. He was a man who must be tall when he stood upright, but at this moment his long legs were bent under him, and his arms, not less long in proportion, were crossed over his breast. He was leaning against the hedge, which almost hid his face, before which he also held up his hand as if for further concealment. By his side a little man, mounted on a hillock, was talking to another tall man who was constantly slipping off the summit of the same hillock, and at each slip catching at the button of his neighbor's doublet. "Yes, Maitre Miton," said the little man to the tall one, "yes, I tell you that there will be 100,000 people around the scaffold of Salcede—100,000 at least. 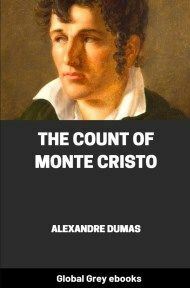 See, without counting those already on the Place de Greve, or who came there from different parts of Paris, the number of people here; and this is but one gate out of sixteen." "One hundred thousand! that is much, Friard," replied M. Miton. "Be sure many people will follow my example, and not go to see this unlucky man quartered, for fear of an uproar." "M. Miton, there will be none, I answer for it. Do you not think so, monsieur?" continued he, turning to the long-armed man.—"What?" said the other, as though he had not heard. "They say there will be nothing on the Place de Greve to-day." "I think you are wrong, and that there will be the execution of Salcede." "Yes, doubtless: but I mean that there will be no noise about it." "There will be the noise of the blows of the whip, which they will give to the horses." "You do not understand: by noise I mean tumult. 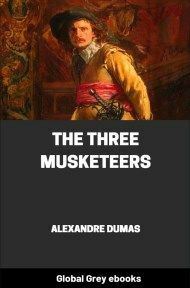 If there were likely to be any, the king would not have had a stand prepared for him and the two queens at the Hotel de Ville." "Do kings ever know when a tumult will take place?" replied the other, shrugging his shoulders with an air of pity. "Oh, oh!" said M. Miton; "this man talks in a singular way. Do you know who he is, compere?" "Then why do you speak to him? You are wrong. I do not think he likes to talk." "And yet it seems to me," replied Friard, loud enough to be heard by the stranger, "that one of the greatest pleasures in life is to exchange thoughts." "Yes, with those whom we know well," answered M. Miton. "Are not all men brothers, as the priests say?" "They were primitively; but in times like ours the relationship is singularly loosened. Talk low, if you must talk, and leave the stranger alone." "But I know you so well, I know what you will reply, while the stranger may have something new to tell me." "So much the better; perhaps he will answer. 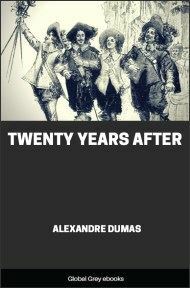 Then you think, monsieur," continued he, turning again toward him, "that there will be a tumult?" "I did not say so." "No; but I believe you think so." "And on what do you found your surmise, M. Friard?"